As Greater Melbourne enters an unprecedented time of change with the commencement of major urban renewal infrastructure projects, the competition asked participants over eight weeks to develop creative design concepts which created a positive public experience of the change occurring within Melbourne. Fellow student Olivia Potter was also part of the submission “Polis”, one of the eight selected short-listed finalists. Connecting City Square used the Melbourne Metro current construction site and proposed to transform the site into an urban recreational sports area used by the public during the five-year tunnel construction period. “We wanted to activate the city but also wanted to think long-term: what does Melbourne want as a city beyond five years?” said Chao. Judged by an expert panel covering local, state and industry stakeholders, Derek described the group’s desire to “explore future-proof possibilities which could be implemented today and remain relevant into the future” through the competition. 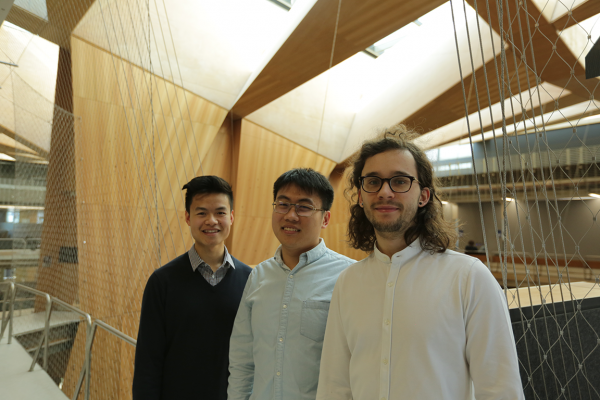 Nevertheless, the Faculty would like to express our congratulations to Olivia, Chao, Derek and Matko on their outstanding achievements in the Melbourne Backyard Idea’s Competition. MSD students continue to be recognised for their excellence within and outside of their studies.